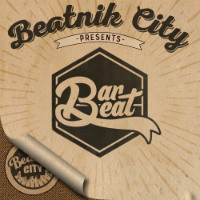 Producer BarBeat gives the Beatnik City label a serious dose of boogaloo flu on the new Beatnik City presents… outing and one that’ll likely spread to you too. The condition is acquired when the listener encounters old school Nu-Yorican vibes which have come into close proximity with heavy breakbeats and can be further intensified by the presence of rapapellas by emcees of note. So when you think that this EP is a cocktail of sixties and seventies NY latin music combined with the vocal work of both a certain bullet-riddled NY rapper and an LA crew of six but only four of whom worked the mic, you’ll realise you’ve no hope of escaping unaffected. Players below.